Showers of rain were a welcome sight for the Fraser Coast this month after one of the driest summers in several decades here on Fraser Island. The good news is that the tracks have firmed up; some Fraser Island Great Walks have reopened; both Qld Parks and our team have been out grading the sand in preparation for the Easter holidays; and the sun is back out for visitors headed our way. March signals the end of the turtle breeding season, but we’re still hearing reports of hatchlings at Sandy Cape and along 75-Mile Beach near the wreck of the Maheno. The island really comes alive at this time of the year as autumn birds including Grey Fantails (Rhipidura fuliginosa) and Caspian Terns (Sterna caspia) return to our shores, blue Carpenter Bees (Xylocopa spp) are the epitome of 'busy bees' as they start burrowing in preparation for winter; Stingrays have been spotted in the clear waters off our jetty during our Ranger-guided night time walks and the skies in and around our mirror lakes in the resort grounds are awash with Dragonflies and Damselflies. Dragonflies and Damselflies both belong to the order Odonata and all odonates share certain characteristics, including membranous wings, large eyes and small antennae, There are also clear differences between the two groups, but you might need a magnifying glass to spot them! Dragonflies are usually stocky and have eyes that touch or nearly touch at the top of their heads; whilst their long and slender Damselfly counterparts have eyes that are clearly separated on the side of their head. 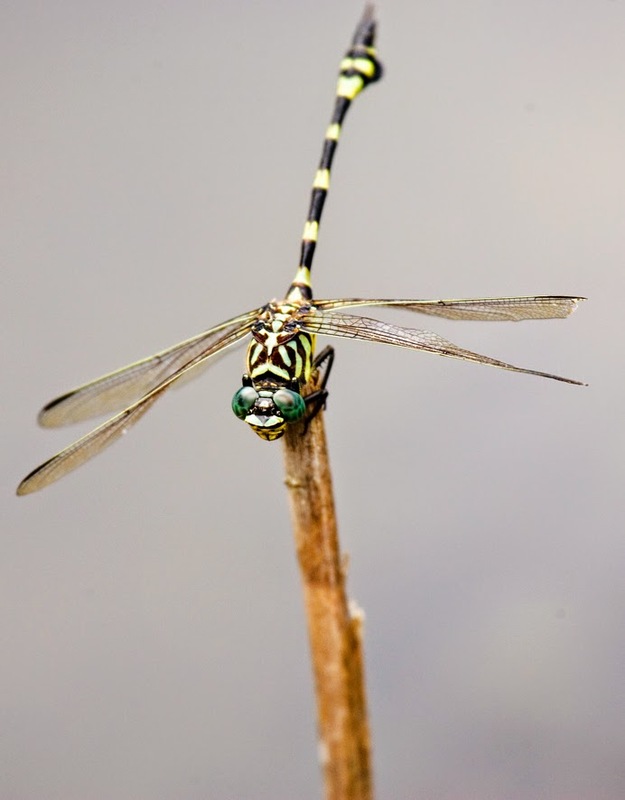 Wing shape is also a dead giveaway - Dragonflies tend to have dissimilar wing pairs and their hind wings are broader at the base; Damselflies have wings that are similar in shape. Fraser Island is a hotspot for both Dragonflies and Damselflies, with Australian Emeralds (Hemicordulia australiae), Fiery Skimmers (Orthetrum villosovittatum), Arrowhead Rockmasters (Diphlebia nymphoides) and Dune Ringtails (Austrolestes minjerriba) all showing regularly in the Wallum heath and across the island. April heralds the start of the Dingo (Canis lupis dingo) mating season on Fraser Island, which takes place between April and June each year (and coincides with the Easter school holidays this year). Litters of between 2 and 6 pups are born between July and September after a fairly short gestation period. 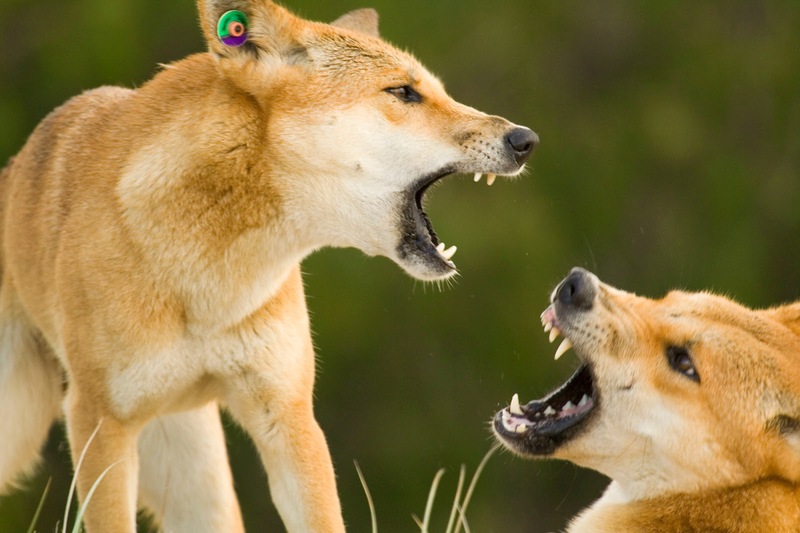 We’re currently hearing dingoes howling in and around the Z-Force Commando Site – which is totally the type of territorial and dominant behaviour we expect at this time of year. DID YOU KNOW: As part of their public Dingo Safety Initiative, Queensland Parks and Wildlife have placed new dingo signs along island tracks and at barge departure points as a reminder to tourists not to be complacent around wild animals. The signs have simple rhymes -‘On Fraser never forget, a dingo is not a pet’ – which are designed to stick in visitors’ memories. To the water, with just under four months to go until the start of the 2014 Whale Watch season – and the arrival of possibly our most watched residents - we’re pleased to report that a two-decade long research study has confirmed that Hervey Bay in south-east Queensland is the world's most important habitat for endangered Humpback Whales (Megaptera novaeangliae). The study, published in February by Southern Cross University researcher Trish Franklin, is the first comprehensive look at how important Hervey Bay is for the survival of the species. The research shows 95 per cent of whales return on a yearly basis – to the calm waters off Fraser Island - because the bay provides a safe haven for mature females and their calves. 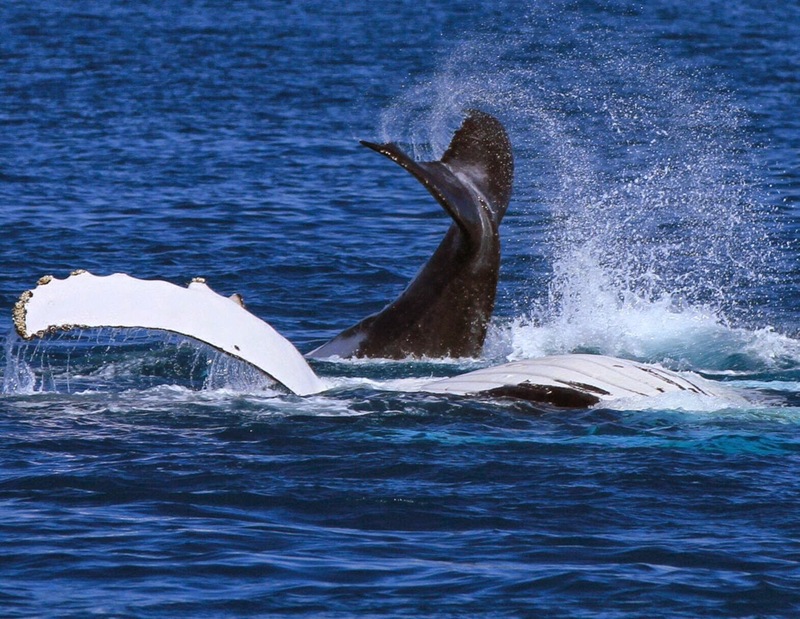 Here on Fraser, the Humpback Whale Watch season runs from 1 August til the end of October with some of the most prolific calm-water whale spotting in Australia. Invariably during the season inquisitive Humpbacks, referred to as ‘friendlies’, will approach whale-watching boats very closely, often staying under or near the boat for many minutes. Half-day trips depart daily from Kingfisher Bay Resort from 0745 during the season (Aug 1 - 31 Oct) and accommodated packages are available. It’s been a busy March – scientists even discovered a new species of spider on Fraser Island called the Reinhard’s Leichardt Spider, which was one of 221 new species across Australia - and there’s more wildlife action to look forward to in the coming months, tree huggers. In closing, we’d like to give a big sound-out to our hard-working resort ranger team and leave you with the news that Australian Traveller magazine has named our popular Junior Eco Rangers program in their top 100 things to do with the kids in summer - but we reckon it's pretty awesome all year round. What a way to end a great month!